Jean-Michel Deiss, (the son of Marcel Deiss, who established the property in 1949) currently manages the 27 hectares of vines, which are planted on some of Alsace's finest terroirs, including the grand cru Altenburg de Bergheim. 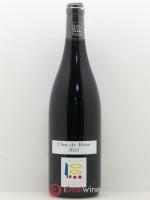 Jean-Michel Deiss grows his vines according to biodynamic principles, a philosophy that prohibits any form of chemical treatment and combines an understanding of cosmic rhythms with work on the soil and the vines. The objective? To encourage the vines to develop as deep a root system as possible in the subsoil, thereby giving full expression to the terroir. Despite being an acknowledged master of the art of making single varietal wines such as Pinot Gris and Riesling, this exceptional winegrower has waged a veritable campaign against the traditional Alsace approach of regarding the grape variety as the essence of the wine, and granting negligible importance to the terroir. Thus he has reintroduced ancestral practices such as mixed planting of all of the traditional varieties (Riesling, Gewurztraminer, Pinot Gris) on the same plot, with no sorting at the harvest. The terroir then comes to the forefront, free to fully express itself without the omnipresent constraint of a single variety. 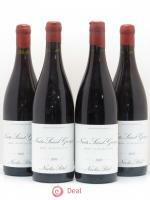 After years of campaigning, Jean-Michel Deiss finally succeeded in obtaining authorisation for the application of the terms "Grand Cru" and "Premier Cru" (previously reserved for traditional cuvées) to these "vins de terroir". 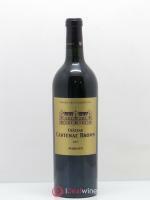 The names of the grape varieties have not appeared on the labels since 2005. 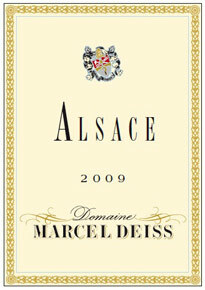 The Alsace Blanc from Domaine Marcel Deiss is produced from 13 different Alsatian grapes varieties. The vines are grown biodynamically and the fruit is harvested together, pressed and vinified without any additions in the cellar: it is a pure, perfect expressesion of the diversity of Alsatian grapes and their terroir. Its pale yellow colour reveals a lively, fruity nose with notes of citrus, white flowers and yellow-fleshed fruit. 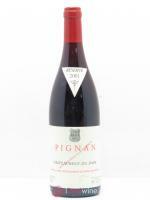 In the mouth this is a nervous wine with heaps of fruit, depth and a lingering salinity which exalts the palate. For drinking now, or after up to 8 years in the cellar. More pairings of "Entrées diverses"
More pairings of "Recettes étrangères"